Mahiymaan lawn 2014 by Al-Zohaib Textile is one of the upcoming collections of this season. Mahiymaan lawn is actually a premium collection that the textile company is going to release soon. 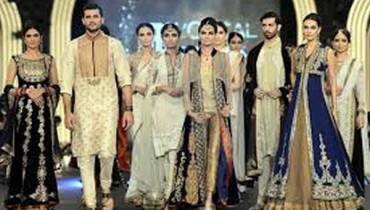 It has released Mahiymaan lawn in 2013 and 2012 and has been quite successful in it. So, do check out Mahiymaan lawn of this year. Mahiymaan lawn is a premium lawn and so, the dresses include nice shirts with embroidery, chiffon dupattas and so on. 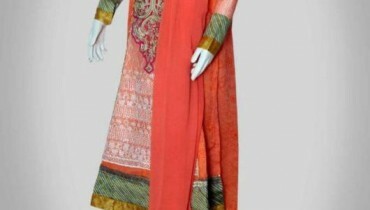 The clothes have unique embroidered motifs for women. So, check out Mahiymaan lawn 2014 by Al-Zohaib Textile. We are sure you will like the collection. Al-Zohaib Textile is one of the big textile companies working in Pakistan. It has become famous for its nice collections that it releases every year. Some of these collections have premium fabrics just like this collection while others have normal fabrics that are just printed. Last year, it released a multitude of such collections. This year also, it has released Anum lawn 2014, Monsoon lawn 2014 and Mahnoor lawn 2014 before launching this collection. 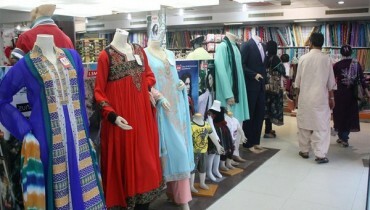 The company offers its clothes at fabric shops in different parts of our country and so, they are easy to get. The pictures of Mahiymaan lawn 2014 by Al-Zohaib Textile are given over here for your viewing. These catalog pictures of Mahiymaan lawn 2014 by Al-Zohaib Textile were released only a few hours ago. This collection is going to be released soon. 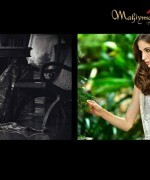 Thus, if you want to get some nice and unique dresses from Mahiymaan lawn, get them soon after release. The web address of Al-Zohaib Textile Facebook fan page, which will provide you with further details on this collection and other collections of Al-Zohaib Textile, is here. For now, just have a look at Mahiymaan lawn 2014 by Al-Zohaib Textile.